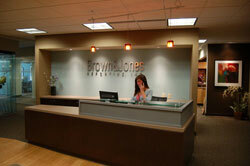 I have worked with Brown & Jones for probably close to 20 years. They have assisted me with in-town, in-state, and out-of-state depositions, both in providing their own or out-of-state firm court reporters and videographers. I have always found the services of their court reporters and videographers to be top quality, very professional, and always responsive to my needs, whether it be routine or last-minute scheduling, or the need for expedited transcripts. Being involved currently in a large federal civil rights litigation, my office and I have been working extensively with Brown & Jones and value their assistance and expertise. Samster, Konkel & Safran, S.C. When it comes to court reporting services, you have a choice. Choose the best. Each of our services is done the right way with superior quality and unrelenting attention to detail. The result? For more than 30 years, leading law firms have trusted us with their most complex litigation cases. The court reporters at Brown & Jones, both in-house and nationwide, are our most valuable asset. They are friendly, competent professionals certified by the National Court Reporter Association. 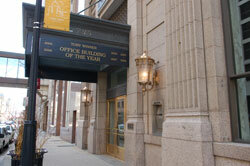 We provide our clients with complimentary access to our state-of-the-art downtown Milwaukee conference facilities. With VIP amenities and the latest audio/video technology, we are your “Wisconsin Deposition Headquarters” for all your depositions, meetings, interviews and videoconferences. Our Certified Realtime Reporters (Link to 2.1) can deliver realtime deposition transcripts instantly to anyone, anywhere in the world. Anywhere there is an Internet connection, we can provide immediate access to deposition testimony, as it happens, or searchable in previously recorded content. Realtime transcripts include page numbers, line numbers and timestamps. Brown & Jones is a Certified Videoconferencing Site, offering broadcast-quality, face-to-face communication between our videoconferencing suite in downtown Milwaukee and thousands of other sites throughout the United States and Canada. Now you can attend or conduct out-of-town depositions and meetings without all of the time, expense and hassles of traveling. Our experienced Certified Legal Videographers provide you with the highest quality deposition video services available. Whether at your offices or ours, we use the latest professional video and audio equipment to capture all the critical aspects of your deposition. Specialized lighting is used where needed, and a final video is provided in your desired format. Our digital video depositions can be synched with smooth-scrolling transcript allowing you to captivate the jury in ways that are virtually impossible with just the printed transcript. Our synched transcript video is compatible with all other trial management software. We provide you with easy online access, 24 hours a day, to all your case management documents, including exhibits, transcripts, deposition calendar and more. Our online deposition repository is a completely secure, password-protected library, maintaining complete backup files of all your cases. In addition to serving as your Wisconsin Deposition Headquarters, we can help you find and schedule a qualified court reporter, legal videographer, interpreter or videoconferencing/deposition suite anywhere throughout the United States or Canada. Use our online form to schedule our reliable court reporting service anywhere you need it. Brown & Jones provides captioning services for conventions, seminars and meetings to aid in client compliance with the requirements of The Americans with Disabilities Act. We can provide these services from Milwaukee to Memphis, San Diego to New York City, or anywhere in the world. Contact us today to schedule a deposition or to learn more about any of our premier court reporting services.